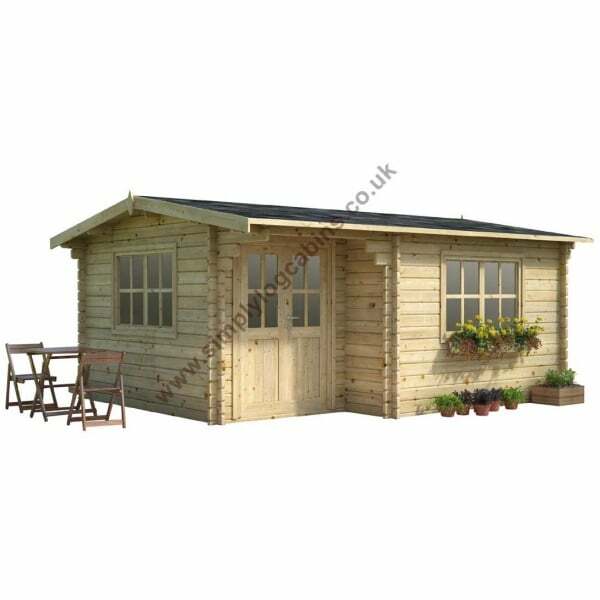 Eurovudas AlNorth European Spruce 45 Log Cabin: The Eurovudas AlNorth European Spruce 45 is a classically designed garden office style log cabin that is practical and an attractive feature in the garden. The Branford’s feature an integral canopy of approximately 1m x 2m. When used as an office this cabin provides room for a desk, filing cabinets and a meeting table with 4 chairs if required. Many customers also use the Branwell style garden buildings as home gyms, children’s playrooms or simply a leisure room / escape in the garden. When built with our roof insulation and roofing materials options along with a small heater this style of building creates the perfect garden office for use throughout the year. Similar Style to the Gudrum Branson.